Already available items are shipped within 4-5 business days (Monday-Friday) starting from date of order. During sales or promotions shipments may take longer. Limited editions items cannot be sent back. 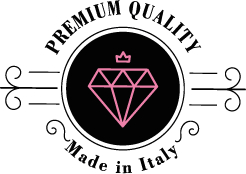 Shipping costs are completely free of charge when exceeding the amount of € 50 (for purchased products) throughout Italy! Below € 50 the following shipment costs shall apply 9,99€. Deliveries throughout Europe are FREE OF CHARGE when exceeding a total amount of € 100. Below € 100 the following shipment costs shall apply 14,99€. We suggest our Customers indicate an address where they can easily be reached and receive their goods, always providing a telephone number (landline or mobile phone) to be reached on in order to avoid any delays due to unnecessary delivery attempts. Furthermore, you can also enter your workplace address (recommended) or the address of a trusted person in charge of collecting your parcel. 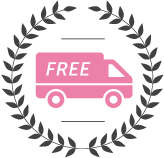 Our courier will attempt to deliver it twice, then leave a card with the details needed to contact them and to collect your goods via the Internet. Recipients cannot schedule an exact day or time for their delivery. The average delivery time for shipments outside Italy ranges from 2 to 5 days. Should Customers wish to get further details on the delivery time for a specific place outside Italy, they can contact Courier delivery time in Italy. Our courier will attempt to deliver it twice, then leave a card with the details needed to contact them and to collect your goods via the Internet. Recipients cannot schedule an exact day or time for their delivery. Should your order exceed 30 kg and for deliveries outside the European territory, Customers are kindly asked to write to shop@forpetsonly.it in order to know the exact shipping amount. When an order is shipped customers receive an e-mail from For Pets Only srl with their tracking number and a link to check the delivery progress. In case of delays due to customs offices, customers will be contacted directly by courier or by For Pets Only srl Customers are kindly asked to carefully inspect their package upon delivery before signing the related proof of delivery. All parcels are carefully packaged and wrapped up with For Pets Only srl adhesive tape. If for any reason your parcel looked tampered or the adhesive tape is not intact, Customers are kindly asked to sign the receipt under reserve or to refuse the delivery. Should the delivery be accepted with an unauthorised signature or should there be evidence of tampering on the package, Customers are kindly asked to immediately report the matter to the courier and contact For Pets Only srl at the following address: shop@forpetsonly.it All Customers who place an order establish a business relationship with For Pets Only srl and therefore undertake to accept the delivery of their parcel. If the package is not delivered due to reasons depending on the customer (wrong address, consignee always absent, incorrect phone number, etc.) or if the customer refuses to accept the delivery, all shipping costs and possible customs charges will be detracted from any refund due to the customer. 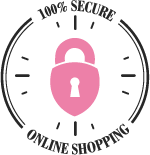 We would like to remind our new customers that For Pets Only srl can ask Banks or Paypal to verify the transactions and contact the counterparty bank too. Such verification may delay the order shipment. For Pets Only srl is not responsible for any delays due to customs operations and controls or to force majeure beyond our control.